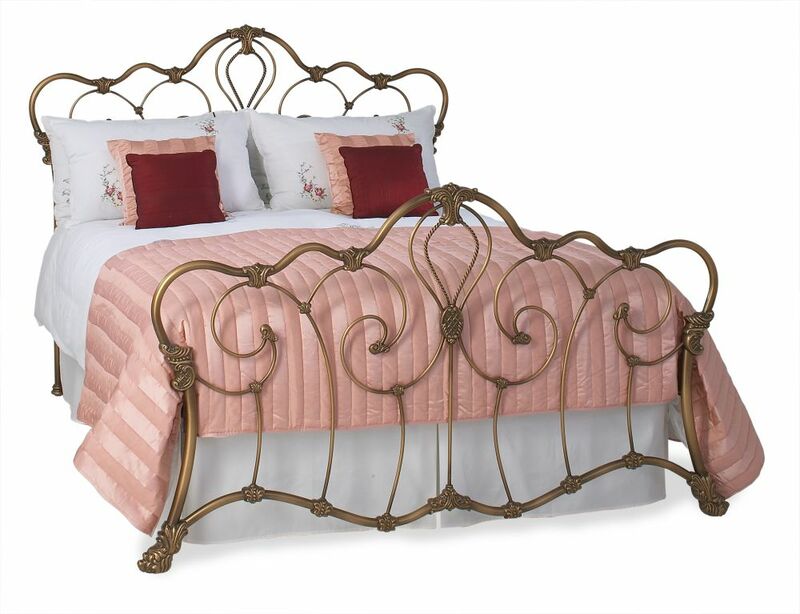 The Original Bedstead Company Athalone frame is a stunning iron bedstead. Cast iron bedsteads are seldom more glamorous or striking than The Athalone. For here we have an unreservedly romantic design from the Victorian era which would have been as much of a style statement then as it undoubtedly is today. A riot of beautiful curves and exquisite detailing ensure a truly dramatic statement with heavy lions foot castings adding a majestic quality and a sense of purpose. The most expressive of bedsteads deserves the finest colour finishes and we present the Athalone Iron Bedstead in a choice of either hand applied bronze patina finish to bring out all those nostalgic qualities, or silver patina for a more contemporary and sophisticated twist.